This is a very well written, imaginative tale which utilizes the story-within-a-story device with aplomb. Like bookends, the beginning and end of the story focus on Bongani, a man tormented nightly by a curse which has befallen every male member of this family for generations. These were, far and away, my favorite parts of the story! The middle ground, while still well written, lost me a little bit (only a little though). The meat of this part of the story is how Bongani’s ancestors came to be saddled with the Mimic’s curse. Unfortunately, things got a little convoluted. For example, the introduction of yet another supernatural force competing with the Mimic had me scratching my head. I didn’t understand this second force’s motivations. But the writer’s use of dialects in her dialogue was deft and made her secondary characters shine, which more than made up for any other issues I may’ve had with the story itself. Overall, this is a really engaging short story, easily read in a single sitting. Well worth your time! 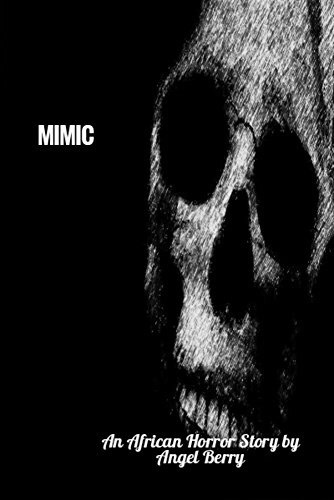 If you’d like a quick creep-out, check Mimic out on Amazon HERE. Book Sales! Mark your calendars.